URBAN VOODOO MACHINE SALUTE FALLEN BROTHERS! London’s bourbon soaked Gypsy blues bop’n’stroll orchestra THE URBAN VOODOO MACHINE have unveiled a new video. ‘Fallen Brothers’ is a tribute to their band members Robb ‘The Kid’ Skipper & Nick Marsh who died in October 2014 and June 2015, aged 28 and 53 respectively. About the song, singer/writer Paul-Ronney Angel said, “It’s about moving on as much as it’s about remembering them. It’s time to sing, dance and remember the good times! ‘Fallen Brothers’ is taken from the band’s latest album Hellbound Hymns, which made number 21 in Vive Le Rock‘s Top 50 Albums of 2016. Vinyl and CDs are available to buy directly from the band’s website. The Urban Voodoo Machine’s next London show will be headlining our 5th Annual Vive Le Valentine at the Dome in Tufnell Park on Saturday 4 February along with Miraculous Mule, Bar Stool Preachers, The Fuzillis, Trixi Tassels, Brandy Row, Frank Sanazi & DJ’s Jim Jones & Eugene Butcher – tickets priced at a bargainous £15 are available here. The Urban Voodoo Machine’s live show has been described as terrifyingly bizarre, hysterically funny; a riot for the eyes and sensation for the ears: a sing-a-long, drink-a-long, clap-a-long affair and you can also catch them at the following venues…. MIRACULOUS MULE ANNOUNCE HEAVYWEIGHT ALBUM! MIRACULOUS MULE kick off the new year with the announcement of a brand new album. Two Tonne Testimony is heralded by the unveiling of a video for the track ‘Where Monsters Lead’, a sermon of heavy foreboding originally unleashed in November immediately following the US presidential election. The band’s third full-length album, Two Tonne Testimony is due for release on their own Muletone Recording Company label through Bronzerat on 24 March, featuring the following tracks…. 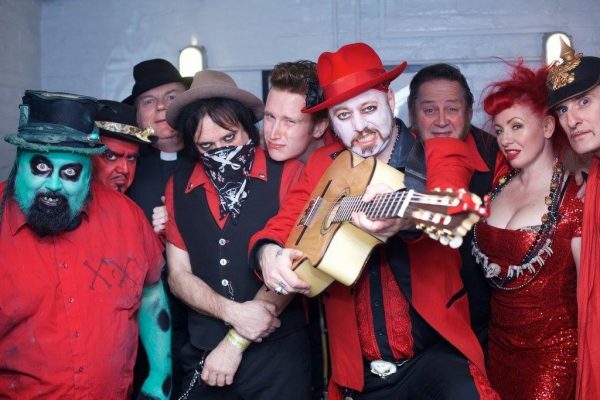 We’re delighted to have Miraculous Mule appearing at our fifth annual Vive Le Valentine show at The Dome, Tufnell Park, London on Saturday 4 February, alongside THE URBAN VOODOO MACHINE, THE BAR STOOL PREACHERS, THE FUZILIS and BRANDY ROW. Tickets, at a bargainous £15, are available here. Read a new interview with Miraculous Mule in the current edition of Vive Le Rock! 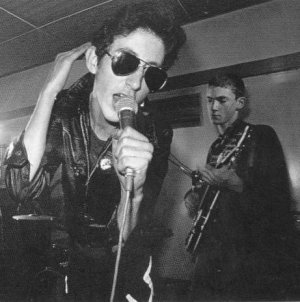 ’78 VIBRATORS PLAY LONDON SHOW! 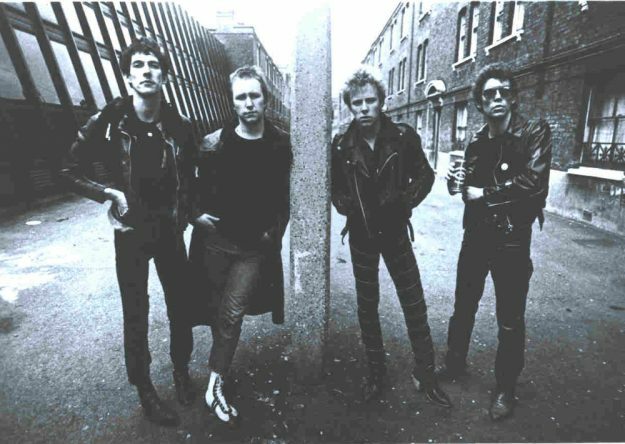 Ace London punk promoters Rockaway Beach get a jump on next year’s 40th Anniversary celebrations by bringing together the 1978 line-up of THE VIBRATORS for a one-off London gig. Featuring original members Knox, Eddie and John Ellis, by ’78 the band were joined by bassist Gary Tibbs for their second album V2, produced by the legendary Vic Maile, which featured the bona fide hit single ‘Automatic Lover’, which reached the Top 40 in March of that yeah. Tibbs later went on to hold down the bottom end in ADAM & THE ANTS and ROXY MUSIC. The Vibrators play Rockaway Beach at the iconic Hope & Anchor in Islington on Thursday 2 March. Support comes from current Vibrators guitarist DARRELL BATH and his band. All profits from the gig will go to the Rock’n’Roll Rescue charity. Tickets priced £10 are available here. 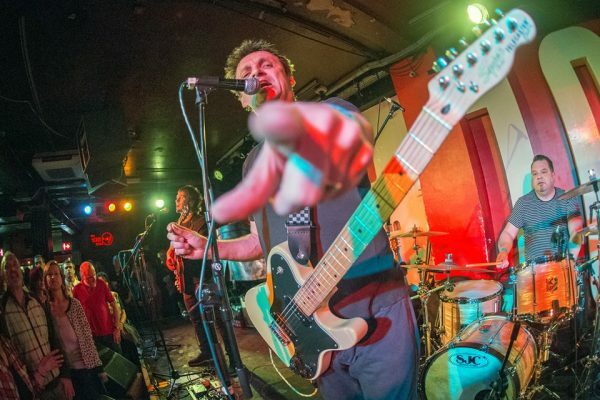 The Vibrators are set to release a new album Past, Present And Into The Future later this year. Featuring Knox, John, Eddie, Gary, Darrell and current Vibrators bassist Pete Honamaki, it’s produced by original bassist Pat Collier. It’s available to pre-order from their PledgeMusic page, along with various items of Vibrators merch and memorabilia. Check out ‘Automatic Lover’ on Top Of The Pops. 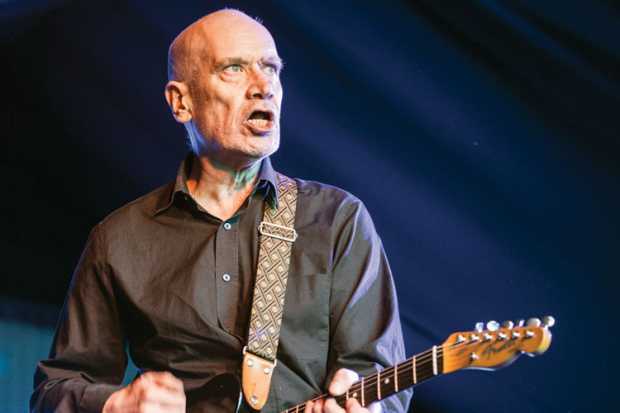 Essex r’n’b guitar legend WILKO JOHNSON has a new ‘best of’ compilation out next month. I Keep It To Myself: the Best of Wilko Johnson is being released on 24 February on the iconic Chess label through Universal. The double-disc album comprises a comprehensive overview of Johnson’s career, including re-recordings of such DR FEELGOOD classics as ‘Roxette’, ‘She Does It Right’ and ‘Twenty Yards Behind’, bringing it right up to date(ish) with recordings from his 2014 collaboration with ROGER DALTREY. I Keep It To Myself is available to pre-order here. Check out ‘Sneaking Suspicion’ on YouTube. THE GODFATHERS BRING THE NOISE! 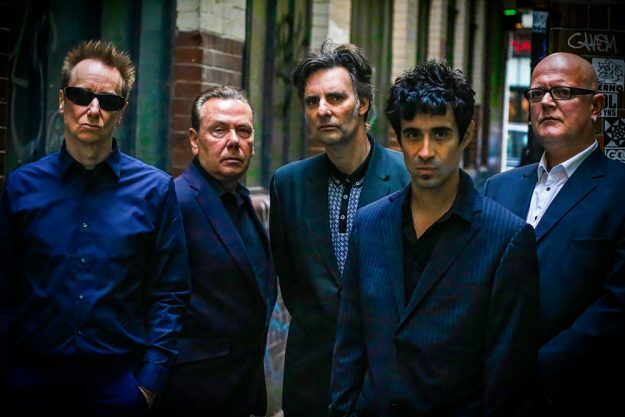 Legendary UK rock’n’roll dons THE GODFATHERS return next month with their first new album in four years! The appropriately-titled A Big Bad Beautiful Noise is the first Godfathers album to feature the new revitalised line-up – with founder Peter Coyne joined by Steve Crittall and Mauro Venegas (guitars), Darren Birch (bass) and Tim James (drums) – that rocked various festival stages last summer, including the Isle Of Wight, Camden Rocks and Spain’s Motorbeach. As previously announced, the band will accompany the album with a UK tour and they’ve been declared match-fit having successfully seen off a series of shows in Greece in December. A Big Bad Beautiful Noise is released on the newly formed Godfathers Recordings2 label through Cargo on 10 February. It’s available to pre-order on CD and 180g deluxe limited edition vinyl here and as a download here. Check out the video trailer. The album is preceded by a single ‘You Don’t Love Me’ on 3 February as a download and on limited edition pillar-box red vinyl. The Godfathers play the following UK shows…. ANDY BLADE PLAYS SOLO SHOW! ANDY BLADE, frontman of legendary first-wave punks EATER, plays a one-off solo show next week in South London. He’ll be playing an afternoon gig at Raven, 74 Bromley Road, Beckenham from 1pm on Saturday 14 January, but get their early – the first 20 people through the door get a free beer and Eater badge! Blade recently released a new album Plastic Penny & The Strange Wooden Horse through Flycatcher Records, which will be available at the and through his Facebook page. Check out ‘Welcome To Raqqa’. BRAINIAC 5 ANNOUNCE NEW ALBUM! Rejuvenated psych-punks THE BRAINIAC 5 return with a new album this month. Journey To X is their second full-length album since their 2012 reunification and follows hot on the heels of 2015’s acclaimed Exploding Universe. Once more it was recorded at Alchemy Studios in North London with producer Kenny Jones, and is the first Brainiac 5 album to feature new drummer Joe ‘From San Diego’ Malone. Formed in Cornwall in 1976, The Brainiac 5 were regulars on the South-West free festival circuit before heading up to London to join the late-70s/early-80s psych scene, alongside the likes of THE BARRACUDAS and THE SOFT BOYS, where they counted John Peel and Alex Chilton as fans. They released a single and EP produced by HAWKWIND’s Martin Griffin, but their debut album World Inside didn’t emerge until after they’d split. They recently appeared on Cherry Red’s psych revival box set, Another Splash Of Colour. The band celebrate Journey To X with an 8-hour album launch party at The Gunners, 204 Blackstock Road, London N5 on Saturday 21 January. Kicking off at 4pm, it will feature the band playing the album in full, plus sets from MORTON VALENCE, MARK & THE CLOUDS, THE GREEN RAY, RICHARD BOOTH (of PLUMMET AIRLINES) and PROUDFOOT. Admission is FREE. Journey To X is released on Friday 20 January as a download, CD and deluxe gatefold vinyl, and is available to pre-order now through Bandcamp, iTunes and Amazon. THE CHORDS UK UNVEIL NEW SINGLE! CHRIS POPE and THE CHORDS UK have just unveiled a video for their new single. The elegantly Moddish ballad ‘Dreams Of Yesterday’ is taken from the band’s recent album Take On Life, and casts a reflective eye over London’s music history – not least Chris’s role as guitarist and songwriter in Mod revivalists THE CHORDS. The single is available now from Chris’s website. 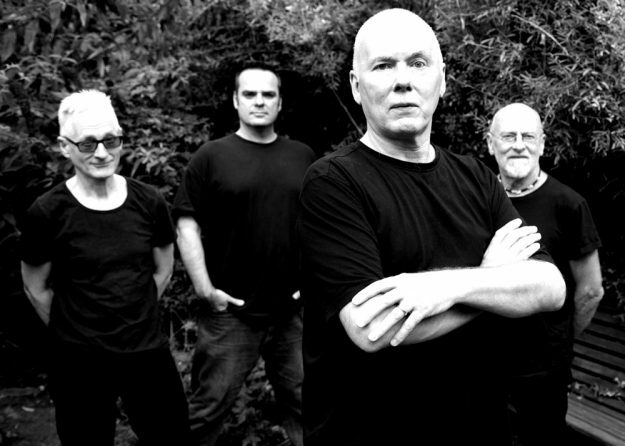 ANTISECT: A LIGHT IN THE BLACK! Northamptonshire crust punks ANTISECT return with their first new music in 30 years. The video for ‘Black’ was released on 1 January. It’s the first track to be unveiled from their forthcoming double album The Rising Of The Lights, whose release date is yet to be confirmed. As previously announced, Antisect play the Another Winter Of Discontent festival at The Dome, Tufnell Park on Saturday 18 February. It’s their first London show in two years. Tickets are available here. They’ll also be joining old friends DISCHARGE at The Flapper, Birmingham on Saturday 22 April. Formed in Daventry in 1982, the band split up in ’87 before returning in 2011. 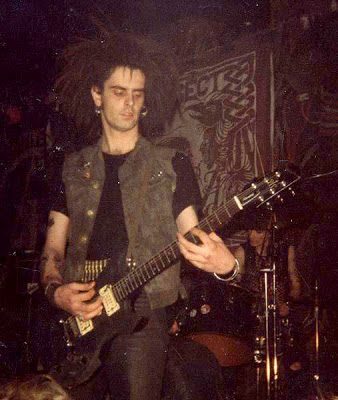 Graced by numerous line-up changes over the years, last year saw the band retooled as a three-piece with founding guitarist Pete Lyons (pictured) and drummer Joe Burwood joined by returning 80s bassist John Bryson. Check out the band’s website.